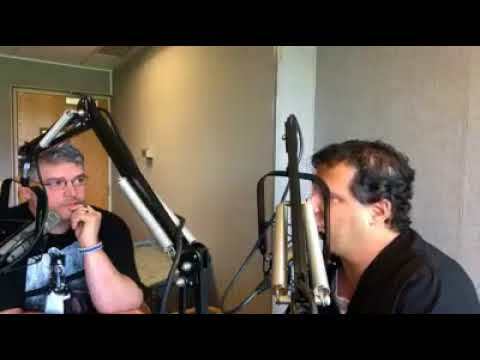 "Dr. Katz and his staff are amazing. I have only been a patient for 3 months and they make you feel like they have known you for years. I am getting extensive work done, Dr. Katz took his time with me and explained all my options to fit my budget. They have won my trust and I will be a patient for life." San Diego, California. He is trained and knowledgeable in implantation dentistry. Dental implants are an excellent solution for tooth replacement because they look and function just like a natural tooth. Implants are incredibly strong and durable, and with proper care, you can expect to keep the same implant for the rest of your life. Not only are they strong, they are comfortable and beautiful. Your new implant will look and feel just like a natural tooth, restoring your smile back to being whole and beautiful! The process of getting a dental implant can take up to a few months, but the results are well worth it. First, the implant will be placed into the jawbone, creating a strong foundation for the restoration. It will then need to fuse with the jawbone, which can take several weeks or up to a few months. This fusion process is critical in order to achieve a strong restoration, allowing it to act as a natural tooth. Once the implant has healed and fused, an abutment will be placed over the post, which acts as a base for the new replacement tooth. We create your replacement tooth to fit perfectly and to blend seamlessly with your existing teeth. By choosing dental implants as your method of teeth replacement, you can renew your confidence in your smile. You will regain the freedom to laugh, eat and speak again, with no anxiety about the look of your smile. Dental implants are so strong and will look and feel just like your natural teeth, so you can keep smiling! Dental implants are among the most popular solution for replacing missing teeth because they are incredibly strong and they look and function just like natural teeth. Dental implants are so durable because the titanium posts are secured into the jaw and are fused to the jawbone through a process called osseointegration. The implants act as your natural tooth root would, and are anchors for the new replacement teeth. You can have permanent, natural-looking replacement teeth in just one visit! Dental implants can replace one or multiple teeth on both your upper and lower jaws. For whole arch replacement, Dr. Katz recommends All-On-Four technology which requires only four implants to support a full arch. This reduces your healing time, bone density requirements and cost. Implants can last a lifetime with proper care. Dental implants can give you the confidence to speak, eat and smile without fear of slipping or popping out. Dental implants are a permanent solution for replacing missing teeth, as they are fused to the jawbone to create an extremely strong bond. Preserve a Youthful Appearance. When teeth are lost, the jawbone begins naturally deteriorating leaving you with a sunken, aged look. Dental implants can prevent this and maintain your facial structure. In addition to deteriorating bone, the loss of a tooth can cause the surrounding teeth to move as well causing potential damage to the tooth roots and altering your smile. Allow You To Eat, Talk, Smile With Confidence. Dental implants give you natural-looking teeth that are incredibly stable. With dental implants, you no longer have to remove dentures to eat or fear them slipping during a conversation. You’ll never have to hide your smile again! Last a Lifetime. With proper oral hygiene, dental implants should last a lifetime. Caring for your implants is just like caring for your natural teeth by regularly brushing and flossing and visiting your dentist regularly. Almost anyone who has lost one, multiple or all teeth is a good candidate for dental implants. Those who currently wear dentures and are looking for a more durable, permanent and comfortable solution may also be good candidates. Candidates with healthy gums and sufficient bone density have a 95% success rate for dental implants, as the gums and bone help support the dental implant. Our office will carefully evaluate your mouth to see if you are a candidate for dental implants and can then create a treatment plan with you. If you have been told you are not a candidate for dental implants, consult our office. Dr. Katz can discuss with you your options for dental implants or other forms of teeth replacement. In some cases, a bone graft is required to build up enough bone density to support dental implants. Dental implants can be the best investment for improving your smile and preserving your health. With proper care, your dental implants should last you a lifetime, so they are a one-time-only investment, unlike other tooth replacement options. At your initial consultation and examination, we will be able to have a more accurate estimation of your dental implant cost. Once a treatment plan has been made, we can go over various payment options to fit your budget. Generally, dental implants are not covered by most dental insurance carriers. Your insurance may cover portions of your treatment for dental implants such as removal, sedation, crowns and more. However, out-of-pocket medical expenses are often tax deductible. We will also do our best to create a payment plan that fits your budget. A: A dental implant is used to replace missing teeth. A titanium screw is implanted into the jawbone to create a strong bond and a sturdy base for the abutment on which your restorative tooth will sit. The implant acts as a replacement for your natural tooth root. Dental implants can replace one or multiple teeth and will act and look just as a natural tooth would. With proper care, dental implants should last you a lifetime. A: Most people missing one or more teeth are good candidates for dental implants. For successful placement of implants, healthy gums and sufficient bone density are necessary. During your consultation you will be evaluated to see if you are a good candidate for dental implants. In some cases a bone graft may be necessary to provide enough support for dental implants. Q: How Long Does The Dental Implant Procedure Take? A: Generally, you can get a new set of teeth in just one visit. With our All-On-Four technology, your new smile will be built in our laboratory and placed at once so you don’t have to rack up several bills at different specialists. Dr. Katz also places dental implants through the Teeth-In-An-Hour procedure which allows him to complete the procedure in just one visit. Have you recently lost teeth or are you in the process of losing your teeth? Introducing the revolutionary treatment that allows you to restore your smile in hours – All-on-4™. The All-on-4 permanent teeth are locked in place by dental implants creating a secure, long-term fit. These permanent teeth are secured by four titanium dental implants. With All-on-4 you’ll be able to eat and chew just like you did with your natural teeth. Best of all, the function of your natural teeth is restored in just one day. 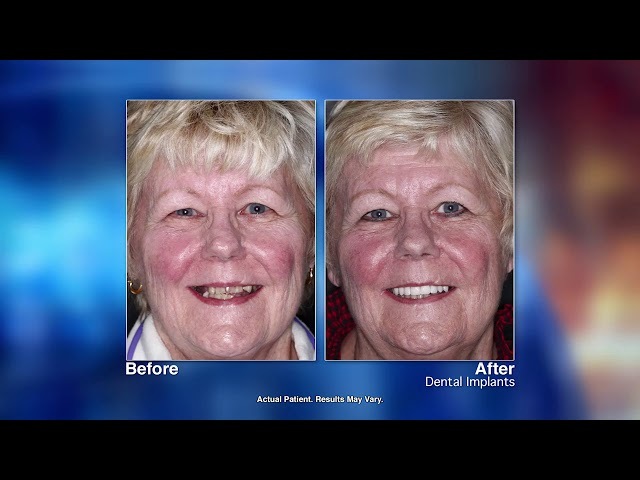 A comfortable, beautiful smile restored in one day! What is the cost of All-on-4? All-on-4 dental implants are a one time investment. They are long lasting which means you won’t need to pay for replacement teeth again. Phillip Katz, DDS can find a solution to fit All-on-4 in your budget. Plus, restoring the natural look of your teeth and enjoying the foods you love again is hard to put a price on. We want Phillip Katz, DDS to be your destination for All-on-4 complete dental renewal. Why choose Phillip Katz, DDS for your All-on-4 teeth? We can save you thousands of dollars on this procedure and get the work done all in-house. You won’t need to visit multiple dentist offices or implant centers. Our office is equipped for completing these procedures. We have the latest CT 3D X-rays that are required for dental implants. We use advanced simulation software to plan your dental implant and ensure the correct placement. Dr. Phillip Katz is an experienced implant dentist. He will perform the surgical procedure and restore your teeth. Enjoy sedation dentistry during your procedure so you can sit back, relax, and let us do the work. If you choose the All-on-4 procedure you will never need removable dentures again. You will get beautiful teeth that last a lifetime and keep you looking young. If you have been struggling with loose or poorly fitting dentures, we have a solution for you. NO matter what condition your teeth are in, the All-on-4 treatment can restore your smile. These implants are locked down by four titanium dental implants making them long-lasting and cost-effective. Best of all, you’ll be able to eat and chew your food without any embarrassing issues such as your dentures popping out. Dentures are typically uncomfortable and unattractive. If you’re tired of wearing them or feeling embarrassed about them, consider replacing them with All-on-4 dentures. The American Dental Association endorses dentures with dental implants for patients hwho have lost teeth in their lower jaw. To eliminate slipping dentures, the best thing to do is lock them down with dental implants. Traditional dental implants can take months to be completed. Usually three to six months are needed for the implant to fuse with the jawbone. This is called osseointegration. Patients usually wait months from the time the implant is inserted before they reap the benefits of the procedure. Well, the wait is over with Teeth-in-an-Hour. Teeth-in-an-Hour is an innovative new process created by Nobel Biocare. It eliminates the wait needed for osseointegration and enables us to complete your procedure in just a few hours. We use planning software to plan the procedure on the computer before we install the implant. This makes the procedure more precise and provides high quality results in a fraction of the time. If you need to replace one or more missing teeth contact us about scheduling an appointment. Dental implant technology has dramatically improved in recent years. Implants are the preferred option for replacing missing teeth. The coating technology of implants allows them to fuse effectively with the jawbone to provide increased stability and durability. The shape and thread designs of implants have made them easier to be inserted into your jaw, making for a comfortable procedure and greater stability. Modern component designs have given us greater flexibility in implant placement so we are able to make efficient use of existing bone structure in your jaw. At Phillip Katz, DDS we use 3D Cone Beam CAT scan technology in our implant procedures. This technology provides Dr. Katz with detailed images and important data related to bone density that he can then use to create a computer-modeled treatment plan. This plan ensures precision once the implant is placed and helps Dr. Katz avoid nerves and sinuses during the placement of the implant. 3D Cone Beam CAT scan technology drastically reduces the radiation exposure you will receive compared to traditional x-rays which improves the safety of your procedure. Who benefits from 3D Digital Dentistry? Anyone who is missing one tooth, several teeth, or who needs dentures or a redesign of their smile will benefit. This technology will save money and time and eliminates third-party lab fees. The precision available with 3D digital planning increases the lifetime of your dental implants and allows them to be created and placed in one location in just a few hours. The new innovative dental implant procedure, “All-On-4,” was developed as a way to more efficiently use implants in both jaws. It is especially effective treatment for upper arch restoration because longer, stronger implants can be used in the back part of the jaw. In the early 2000’s, implant manufacturer Nobel Biocare, collaborated with noted European implant dentist Paulo Maulo, and began to use computer simulation, bio-mechanics, and clinical research to determine the optimal use of implants for restoring a full upper or lower arch of teeth. The result was a procedure that uses the fewest implants possible, avoids bone graft surgery, and provides high-quality restorative results in the shortest time possible. The new “All-On-4” Dental Implant Protocol uses four implants, with the back implants angulated to take maximum advantage of existing bone. Special implants also were developed that could support the immediate fitting of replacement teeth. This treatment is attractive to those with dentures or in need of full upper and/or lower restorations. With the “All-On-4 Treatment Protocol,” qualified patients receive just four implants and a full set of new replacement teeth in just one appointment – WITHOUT bone grafts! The real appeal is how quickly permanent implants can be placed so that patients can leave the same day with fixed, non-removable replacement teeth. Traditional approaches to restoring a full arch of teeth usually involved bone grafts, six or more implants, and as many as 18 months of treatment. That meant that a patient often would be without any teeth or with ill-fitting temporary dentures for more than a year. Now, our patients always leave the same day as surgery with fixed and secure teeth! With the “All-On-4” Dental Implant Procedure, the patient has one or two visits to allow Dr. Katz to gather information for a treatment plan (e.g., CAT Scan, X-Rays, Impressions, Photographs). Following this consultation, the patient is scheduled for surgery implantation and the new teeth are fitted and adjusted, all in one appointment (even when extractions are necessary). The patient comes to the office in the morning with unhealthy (or no) teeth, and leaves in the afternoon with a beautiful set of fixed, functional teeth. The patient will return for occasional check-ups over the next several weeks and months. After about 6 months, when the gums have fully healed and the implants are fused to the natural bone, Dr. Katz will take new impressions of the patient’s mouth and prepare a final, stronger, permanent set of teeth adjusted to a perfect fit – at no additional cost. This helps ensure that the teeth will last for many years, and provide maximum support, beauty, and function to the patient. How is the “All-On-4” procedure different from a denture? The “All-On-4” Treatment Protocol provides patients with new teeth that are firmly fixed in place, and look and function as close to natural teeth as possible. A denture or partial denture is a removable appliance, and should be taken out every night for cleaning. Additionally, since a denture is not fixed in place, it will often slip or sometimes fall out, under even normal use. For this reason, a multi-billion dollar market for denture adhesives has developed, to try to hold dentures in place. Even with adhesives, many people find that eating, laughing, being active, and sometimes just talking can be a challenge with dentures. “All-On-4” provides the patient with a set of teeth that are connected to the implants, and are solidly fixed in place (what we call an implant-supported fixed bridge). They may only be removed by the dentist, are brushed and cleaned like normal teeth (though flossing is different), and are the closest thing possible to natural teeth in terms of look, feel, and function. The “All-On-4” bridge also allows the patient to bite with much more force than dentures, since the stresses are transferred directly to the bone rather than to gum tissue as with dentures. This means that patients can eat almost any of their favorite foods without worrying about their teeth. Absolutely NOT! And this is the beauty of dental implant treatment vs. dentures. Not only will your implant supported teeth be fixed in place, without slipping or needing to be removed for cleaning, but since your teeth are supported by the implants, they do not press on the gum tissue and therefore do not create any of the discomfort, common with dentures. What about the line between the fixed bridge and the jaw bone? Can people see it? This line will be hidden behind your lips so that when you smile, it is not visible. During your initial examination, Dr. Katz will evaluate your smile to determine where the junction of the fixed bridge and the jaw bone will be. During the procedure, we adjust your “smile line” to ensure that your new smile is not too “gummy” and that the top (or bottom) of your prosthesis is completely hidden. What is the success rate of the “All-On-4” Procedure? Published studies indicate a 98.2% success rate when using the “All-On-4” technique in the lower jaw. Similar studies show a 97 to 98% success in the upper jaw for the same procedure. Occasionally, an implant will fail. If this happens, we simply place a new implant in a slightly different position to take advantage of existing bone, and our lab refits the fixed bridge to align with the new implant. What type of follow-up visits are necessary? For the “All-On-4” procedure, the implants are placed the day of the surgery and follow-up checks are done at one week, two weeks, two months, and four months. At the end of the four to six month period, fabrication of the permanent teeth begins, and requires one or two additional visits over the next few months until the final teeth are delivered. How much does the “All-On-4” Treatment Protocol cost? The fees for the “All-On-4” implant surgery and the final prosthesis in most cases is less than half of any alternative treatments. (As compared to older procedures which required sinus bone grafting, placing 6-10 implants, temporary ill-fitting dentures, and finally after 1 year of healing and wearing a loose denture, expensive porcelain bridgework which can cost from $55,000-$75,000 per jaw). The cost of the new “All-On-4” implant procedure is very reasonable considering the advantages of having FIXED natural looking teeth that you can function with immediately. At your complimentary consultation visit, Dr. Katz will be able to give you a more detailed estimate and financial arrangements can be made at that time. My friend had a full arch procedure done at another dentist using 8 implants. Why does the “All-On-4” Treatment Protocol use only 4 implants? Research done by Nobel Biocare, and clinical experience shows that in most cases, 4 implants, specially placed with some angulated, are just as effective in supporting a full arch fixed bridge in either jaw as 5, 6, or 8 implant restorations. On rare occasions, where bone is soft or worn down, additional implants may be needed, but these situations are the exception and usually only in the upper jaw. 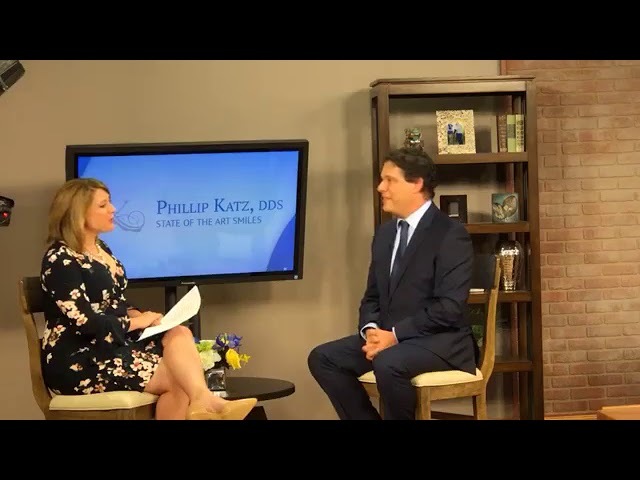 Most dental practitioners do not have the experience that Dr. Katz has with implant surgery “treatment protocol” and “treatment concepts” and they continue to use older techniques involving as many implants as they feel the bone will support. In most cases, more than 4 implants is just not necessary, and can subject the patient to unnecessary surgery, possible un-cleansable areas, excess treatment time, and higher costs. My friend’s procedure involved bone grafting to “build up” the bone before the implants were placed. Does the “All-On-4” Procedure involve bone grafting? In most cases, even the most difficult ones, Dr. Katz is able to place 4 implants and restore a full arch of teeth without bone grafting. This is accomplished by the special placement and angulation of the implants, taking maximum advantage of the available bone, without grafting. Dr. Ole Jensen, author of the textbook The Sinus Bone Graft, used in dental schools and by dentists around the world, has discovered that use of the “All-On-4” technique can eliminate the need for bone grafting in more than 95% of the full arch cases he treats. My friend’s full arch case took over one year to complete, and she had to wear a loose fitting denture for most of that time. How long does an “All-On-4” Procedure take? The past approach to restoring a full arch of teeth usually involved 6 or more implants, bone grafting, and as many as 18 months of treatment. That meant that a patient would often be without any teeth or with a temporary denture for more than a year. With the “All-On-4” Treatment Protocol, the patient has one or two visits to the office to allow the dentist to prepare the case (CT Scan, X-Rays, impressions, photos, etc). Following this initial work-up, the patient is scheduled to have the implants and the new teeth placed, all in one appointment (even when extractions are necessary). The patient comes to the office in the morning with bad (or no) teeth, and leaves in the afternoon with a beautiful set of fixed, functional teeth. The patient will return for occasional check-ups over the next several weeks and months. After six months, with the gums now fully healed and the implants now fully fused to the natural bone, Dr. Katz will take new impressions of the patient’s mouth and prepare a final, permanent set of teeth with additional titanium support in the bridge. This helps ensure that the teeth will last for decades, and provide maximum support, beauty, and function to the patient. What will my diet be like after the “All-On-4” Procedure? When can I eat solid food again? Solid foods can be eaten by a patient that has undergone the “All-On-4” Procedure that same day. However, we must define what we mean by solid foods. We are talking about a modified food diet, defined as foods that are soft enough to be cut with a fork. Examples of the modified food diet are scrambled eggs, meatloaf, mashed potatoes, hamburger, fish, and pasta. Please do not eat foods that require any tearing or biting with your front teeth i.e. : Pizza, sandwiches, and bagels. Also, avoid hard foods such as carrots, chips, apples, nuts, and absolutely no gum chewing! This modified diet is to be maintained until you receive your permanent prosthesis, usually about six months. Once your final bridges are made with the titanium frame as reinforcement, you can resume a normal diet. On the day of your procedure, we place the implants and a new set of teeth called a “long term provisional” prosthesis. This provisional set of teeth is fixed in place, is fully functional, and provides you with a beautiful smile. You will laugh, talk, play sports, and be normally active, without having to worry about your teeth. Once your gum tissues have healed and the implants have become completely stable (usually about six months), we fabricate a permanent bridge with acrylic or porcelain teeth, but this time, with a titanium framework inside for strength. Think of the titanium as a reinforcement bar to give your teeth extra support and long term strength. This permanent set of teeth is carefully adapted to your healed gum tissues and is adjusted to be sure we achieve an ideal fit in your mouth and that your bite and smile are perfect. If I need both upper and lower full-arch teeth replacements, do they both have to be done at the same time? In many cases, where the patient has several broken or missing teeth or has an uneven bite, it is best to do both arches at the same time to avoid compromising the final result. This allows us to control the patient’s biting plane and bite. Doing both arches at the same time is a complex procedure, and is beyond the skill level of most dentists. However, Dr. Katz will use his experience, treatment protocols, and judgement in determining if two jaw cases can be done in one day. In other instances, treatment can be sequenced to meet the financial, health, or other individual needs of the patient. Are some people not candidates for the “All-On-4” Procedure? Very few people who need a full arch of replacement teeth are not candidates for the “All-On-4” Treatment Protocol. However, each candidate is fully evaluated to determine the most appropriate plan of treatment to address their individual dental needs. Importantly, Dr. Katz requires all candidates to be stable medically before entering treatment. That may entail contacting your physician about any existing medical conditions, and getting your doctor to provide medical clearance. In some Cases, the “All-On-4” Treatment Protocol is not the indicated treatment approach. Based upon dental condition, some people are better off being treated with conventional dental procedures done by their dental practitioners. We initially determine the appropriate treatment approach at the consultation appointment, and confirm that treatment plan at the Prosthetic Evaluation. For a complimentary evaluation, please contact our office today! Click to check out videos to learn more about some of the procedures we perform here.